Deer resistant, drought tolerant, will handle some shade, all around tough as nails, and interestingly beautiful to boot. 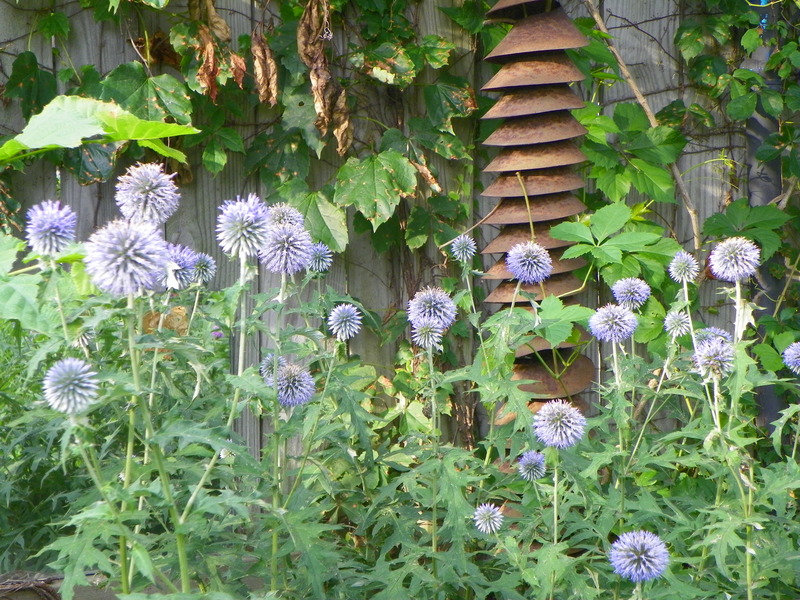 Globe Thistle (Echinops ritro) gives us beautiful blue-ish purple sculptural orbs in the late summer/early fall garden. So, what’s the problem you may ask. Well, these handsome devils in the garden like to re-seed like crazy. If you happen to be like me and have trouble hoe-ing down volunteer plants, especially ones you love, they can provide heartache during your garden maintenance. A patch of Globe Thistle (Echinops ritro) is striking, as is the occasional one placed here and there. So, I would recommend dedicating a patch to globe thistle, the sunnier the better, to get the deep, royal purple hues. The more shade, the more light purple-ish they are. You can also deadhead after blooming to help keep them from spreading their seed, but I love the spent blooms, so I have a hard time with this. They also transplant well, so consider weeding some out and also potting up a few for other areas of the garden or to give away. 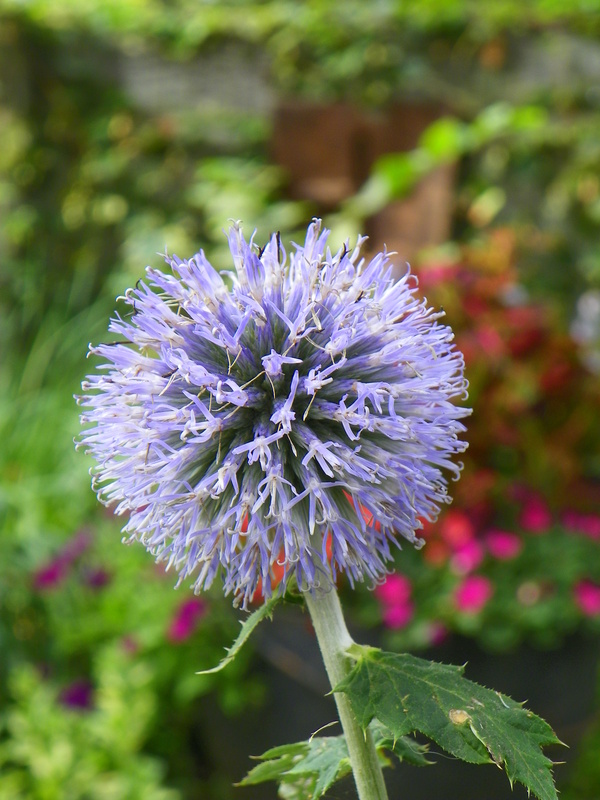 A random globe thistle here and there is a great focal point and pop of sculpture in the garden.